Summer barely made an appearance this year, and now it’s suddenly time to welcome the fall. As announced in its Twitter feed, Drago Centro is celebrating the last day of summer on Tuesday, September 21st with cocktail and wine specials. All drinks on the Summer Cocktail Menu will be $8, and Beverage Director Michael Shearin will be “opening some cool wines” for $8 a glass to toast his passing the Court of Master Sommelier’s Advanced exam. 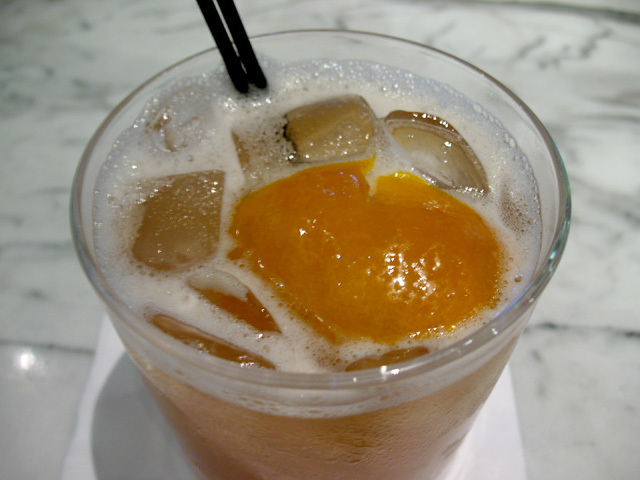 Tuesday will also be your last chance to try Jeni Afuso’s Momo Rye Fizz, the winning entry in The People’s Cocktail competition held at Drago Centro back in July.